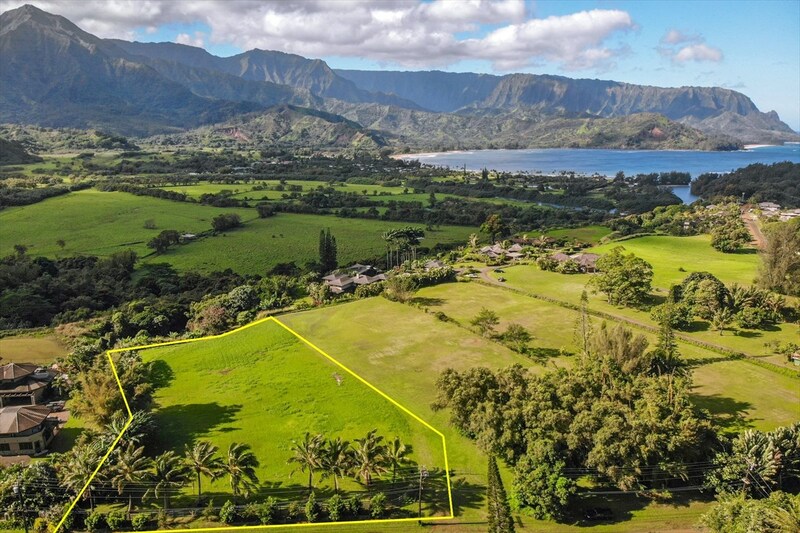 Lot 10 is one of the premier lots within Hanalei Garden Farm Estates offering unobstructed views over Hanalei Valley. This 1.7-acre lot has been has been legally subdivided into a 2-part CPR, allowing for one residence to be built on each unit of the CPR. This offering includes the sale of both units of the CPR. Existing land improvements at this property include but are not limited to: Existing water meter (one); connected water line with back-flow preventer; utility hook-ups; utilities stubbed out from main connection to each CPR unit including phone, cable, electric and water; fencing and landscaping with Coconut Palms along Hanalei Plantation Road. Existing topographical survey and conceptual plans from local architect, Gary Tobey (DC Kauai), can be provided upon request.